1: Poem and audio recording, Itsik Fefer's, “I am a Jew” (Ikh bin a yid), 1941. This poem is a powerful reminder that the Soviet Union’s murderous policy toward Yiddish culture was a reversal of its earlier approach. During the war, Yiddish writers felt encouraged to express their Jewish identity in the fight against fascism, as this poem by Itsik Fefer does. The recording of Fefer reading the poem comes from a unique trip he and Solomon Mikhoels took to the US and the UK in 1943 as representatives of the JAFC to rally international Jewish support for the Soviet war effort against the Nazis. The poem demonstrates how Fefer—and many others—viewed their identity as both Jewish and Soviet. But almost immediately after the war, attitudes changed and Fefer removed the poem from collections of his work. The poem was used as evidence against Fefer in the trial (see the related activity in resource 8), and it ultimately cost him his life. It should be noted that Itsik Fefer is the most controversial of the Yiddish writers killed for their involvement with the JAFC, because he informed on the JAFC and his fellow writers to the secret police and served as the chief witness for the prosecution in the trial. But it is not a simple or easy thing to condemn Fefer: despite his long membership in the Communist party and a lifetime of service to the revolution, in the end he lost his life as well, convicted of Jewish nationalism. Suggested Activity: Assign students a stanza of the poem and have them research the references Fefer makes to moments of Jewish and Soviet history. Ask them to share what they learn and what Fefer demonstrates about his identity with each example. As students listen to the recording of Fefer, ask them to describe Fefer’s oratorical style. Does it change or affect their sense of the poem? Sources: Itzik Feffer, “I Am A Jew,” trans. Joseph Leftwitch, in An Anthology of Modern Yiddish Literature, ed. Joseph Leftwitch (The Hague: Mouton, 1974), 321-324. Editor's note: We have not been able to determine the rightsholder for Joseph Leftwich's translations, and we would appreciate hearing from anyone who knows who the rightsholder is. 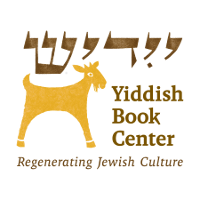 Itzik Fefer, “Ikh bin a yid” in A shpigl oyf a shteyn: An Anthology of Poetry and Prose by Twelve Soviet Yiddish Writers, ed. Ch. Shmeruk (Jerusalem: The Magnes Press, 1987), 694-697. Kalabusha, “Itzik Feffer reads his poem איך בין א ייד”, YouTube video, 6:35, August 12, 2010, https://youtu.be/t6dx9sLBt9c.